Personality: Akegata due to his age, it was rather innocent, playful and naive boy. Because of the particular dark secrets about his lineage, he has been protected from a lot of things, thus making him extremely sheltered and inexperienced in real life affairs. He is pretty fragile emotionally and doesn't alway believe in himself or his ideals, causing him to be very hesistant and quiet. Akegata is often complimented on his cute he is due to his childlike appearance, however due to his lack of experience in life or with other people, he is extremely shy and slightly socially inept. As a Kitsune, Akegata was taught however to be very respectful and polite, which is he, and taught about the more important things in life, such as family and duty. He has a rather peaceful nature to him in that regard. More importantly as next in line technically to be the Head of the Kitsune clan, he was trained early, thus making him a gifted shinobi aside from his personality and physical flaws. Akegata when he opens up or grows fond of a person seems to almost latch on to him, not in the sense of being clingy, but out of fierce loyalty. Akegata relies on others a lot, as he is very dependent, but he is in no way a mooch. He will do his share and will help in any way if can if asked. Birth Arc: Akegata was born in the Kitsune Clan's shrine in Kusagakure on October 9th to the at the time leader of the clan and his wife. He was the second born son of the clan leader, so as such was seen with nobility amongst the clan, however was never seen as high as his brother Tsukiyo who was next in line to inherit the title of "Head of the Clan". Akegata was the youngest member of his family with his father being in his 100's yet still having the appearance of late 50's, his mother who was in her 90's must appeared in his 40's and his brother who was actually in his late twenties. Akegata's brother Tsukiyo was a prodegy, achieving the 3rd level of their clan's sacred jutsu while he was still a genin, something that had been unprecedented. Akegata who was fragile and much weaker since he was still a child, didn't seem to hold as much promise as his brother, however his parents still had high hopes of him. However those hopes could never be attained as his brother had suddenly challenged his father to a battle for head of the clan when Akegata was only 3. His brother and father fought a long battle when suddenly his brother had revealed something. He had done something no other Kitsune had been able to do since the founder of the clan several hundred years prior. He had ascended past the Kitsune's gentle nature and took it to it's darkest places. As a result he unlocked the true final level of the Kitsune Henshin, it's level four. With the power of the level four technique as well as another forbidden jutsu, the second stage of the Kitsune's Bloodlust, Akegata's brother savagely defeated his father, leaving him for dead and brutally killed his brother and several elders within the clan. Tsukiyo then fled from the shrine, as he couldn't maintain his form for much longer and the bloodlust would cause him to faint soon. When more member of the clan arrived all was left was Akegata and his father who was hanging on by a thread. Under his father's final orders Akegata was moved to Konohagakure, knowing Tsukiyo might come back for him but probably wouldn't venture to the Leaf Village. He had Akegata moved with a personal guard who would train him once he was old enough. The young Akegata traumatized by this blocked out these memories, forgetting he even had a brother. Academy Arc: Akegata now moved to Konoha started a new life after convincing himself that an accident killed his parents and that he never had a brother to begin with. Under his father's orders he was always protected and never really allowed to communicate with out people for his own safety. When he finally became of age and entered the ninja academy, he was unable to socialize with the other ninja trainees because he simply didn't know how. The Ninja Academy were probably some of the roughest years of the young boy's life. Being slightly socially inept made him lonely, despite the fact that people were always trying to get to know him. Lack of experience led to his inability to really fight and his gentle, kind nature made it seem like he'd never be a ninja. Akegata only really seemed to excel at one thing at first and that was to absorb information. He was an extremely gifted child in terms of intellegence and was able to absorb and retain information like a sponge. When the time was finally right, his father's final orders came into play. The man who was watching over Akegata who became like a parental figure to him was to teach him the Kitsune clan techniques, starting with the Level one transformation and then followed by the other jutsu. Much to his surprise as well as his teachers, Akegata seemed like a natural, being able to master the level one of the Kitsune Henshin the day after he learned it. Little did he know that this type of progress was exactly the same as his brothers. The ways of the clan came naturally to them and Akegata showed he was capable of learning the basics extremely quickly and eventually even mastering the chakra claws as well as the wind scar technique. As his Kitsune skills further developed, Akegata became a well rounded completely gifted child prodegy. His skills in the adacemy drastically improved, drawing attention from his teachers and classmates. In the span of about 5 months Akegata had gone from a below average trainee to at the very least a gifted Genin leveled student. He exceled at his studies and now was capable of fighting at a proficient level. He graduated at the top of his class and moved on to Genin level. The teachers at the academy had said he would be a powerful ninja one day, but he had one fatal flaw. He was too innocent, too nice. They hoped that real world experience would help mold him out of that. Genin Arc: Akegata as a genin was pretty good. He was able to accomplish missions effectively and quickly, however he was very hesistant when it came to things like sparring and battle. His sensei knew this boy had potencial, but he didn't seem to be able to draw it out. Akegata would merely stick with his team for assignments, training and missions then go home to train with his clan brethren. The turning point in Akegata's genin career was when he and his guardian went off past the walls of Konoha to do some higher leveled training to see how far they could push Akegata. After a difficult training session Akegata grew extremely weary when suddenly he and his guardian sensed something. A powerful, fierce yet familar chakra signature approached them at blinding speeds. It suddenly made itself apparant, it was Akegata's murderous older brother Tsukiyo. The guardian told Akegata to run back to the village and Akegata questioned why. He didn't recognize the man and thought he was just his kin. He didn't recognize how wrong he was until Tsukiyo quickly went on the offensive, disabling the guardian and leaving him on the ground unconcious. Akegata knew he couldn't leave guardian to die to he decided to attack. A battle ensued and Akegata was quickly defeated. In a sense of panic Akegata unlocked the first level of his Bloodlust, much to Tsukiyo's surprise. While he was a gifted student, he hadnt learned Bloodlust until he was Chuunin as he never seemed to really fear anything. In his bloodlust state Akegata also unlocked his Kitsune Henshin level two, once again much to Tsukiyo's surprise. Another battle occured and Akegata was once again swiftly defeated. However now taking interest in his younger brother, after defeating the duo, he decided to just flee. Upon waking up Akegata noticed he was being carried home by his injured guardian. He asked what happened, not remembering the battle due to blacking out from fear followed by the bloodlust. For the sake of Akegata's innocence, his guadian lied and told him he unlocked a new skill and they'd need to work on it. After that day Akegata seemed to be more proficient in battle to the point where his Jounin sensei decided to enroll him for the Chuunin exams. Chuunin Arc: Yet to have happened. Jounin Arc Yet to have happened. Nindo: "Protect what you love, always..."
Description: This jutsu allows the user to assume the appearance of another person, animal, or object. This is one of the basic jutsu taught at the Konohagakure Ninja Academy. Fundamentally, all ninja know this jutsu. The transformation technique is considered to be among the more difficult E-ranked techniques, since it requires constant emission of chakra while mentally maintaining the form. On top of that, the user would be, most likely, interacting with the environment. This puts much mental strain on the inexperienced ninja. Description: This jutsu lets the user quickly switch places with another nearby object, such as a plant (normally a section of a log), an animal, or even another person within reach, leaving the opponent open to a counter-attack. Exploding tags can be attached to the replacement for an added surprise. Fundamentally, all ninja know this technique. Description: The user will activate an explosion tag. Normally, the tag will be placed by them, so they know where it is and can easily activate it. Description:This training method is used to gain better chakra control. It involves emitting a constant stream of chakra from the bottom of the one's feet and using the repellent force to walk across the water's surface. This technique is more difficult to master than the Tree Climbing Practice, because the amount of chakra that needs to be emitted changes constantly. Description: Fuuton • Daitoppa is a Ninjutsu which utilizes the Wind Element. After bringing his hand to his mouth, Orochimaru will blow a large blast of wind capable of leveling almost anything in its way. A variation of the technique involves a smaller blast of wind which gets ignited with flame. Description: The first form of the signature jutsu of the clan. This level is taught to children, generally Academy Student or Genin level by clan members to get them introduced to their clan's abilities. When activated the clan member will go on all fours and their fox like qualities become more prominent. The clan member's white chakra is slightly visable at this point, become an unstable aura around the clan member. When activated a clan member's strength and speed are slightly augmented. Due to this skill being extremely basic it require little chakra, as well as a little maintence for elder members, but genin will have to focus to maintain this state. 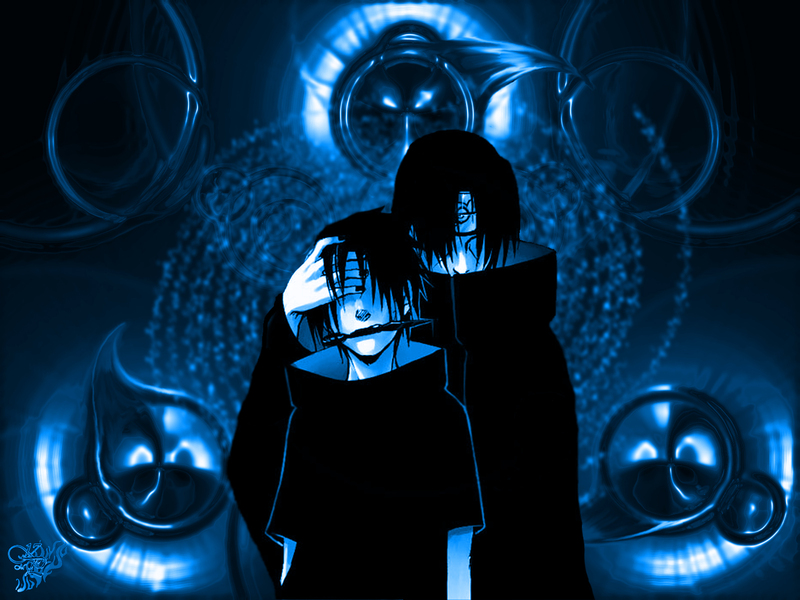 Description: The second form of the signature jutsu of the clan. This level is learned by gifted and talented Genin as well as Chuunin level ninja. When activated the clan member will go on all fours and their fox like qualities become more prominent. The clan member's white chakra unlike the previous form now becomes a thin aura that completely surrounding the clan member. When activated a clan member's strength and speed are augmented to the point where it's above average other shinobi within that clan members rank. This form require a decent amount of chakra to activate with a very little amount to maintain it. Description: A dangerous and heavily considered "Forbindden" jutsu among the Kitsune clan. This technique is activated by extreme emotions inside of a clan member, usually due to anger, or the feeling that they are in danger. When pushed to that point a clan member will enter their "bloodlust" state. In this state a clan member loses almost all of there sanity, instantly going on a rampage. When in this form they lose the ability to use any other abilities besides clan ninjutsu and taijutsu, however in return their strength, speed and senses are heightened greatly. They will attack anything until their "bloodlust" wares off in 6 turns, losing the ability to feel pain, thus being very risky. This form can also be activated in a sense of uselessness, inwhich they might be trying to defend something or protect it and that thing might be the only thing that keeps them sane. Description: A jutsu that requires a Kitsune clan member to be in their Kitsune Henshin state. Clan members who are able to use the 2nd level of the transformation are capable of using this jutsu without transforming, however if done while transformed, it doesn't cost the user any chakra. The users hands will glow white and grow claws that are 6 inches long. These claws are extreme strong and durable, being able to cut through steel, thus being much more useful than normal weapons. Description: A powerful wind jutsu used by the Kitsune clan. A Kitsune would generate wind chakra to their hands and then release the chakra in the form of a crescent blast. This jutsu does not require handseals and the size of the technique can vary depending on the level of the user (C= 1 meter wide/ 3 meters tall, B= 3/5 meters, A= 5/10 meters, S= 10/15 meters). These wind attacks can have one of two effects. They can have an extreme crushing power that will crush and blow back whatever they hit, or they can have a slicing and tearing ability to shread opponents. Description: A Kitsune member has the ability to control their senses. They have the ability to "turn off" any of their senses. In return of doing this, there other senses are heightened. Description: To use this jutsu a Kitsune has to focus. They will close their eyes and take a deep breath. They will be able to sense the general direction where chakra signatures are if the chakra is far away and as they get closer they will be able to pinpoint it. When they open their eyes the Kitsune can then follow the chakra signature and lock onto it. Kekkei Genkai: Kitsune Henshin "Fox Transformation"
Description: Kekkei Genkai Description: Kitsune Henshin is a skill all Kitsune clan memebers learn at a young age and develop as they grow older. There are Four levels to the Kitsune Henshin, each level more powerful than the last. Generally when a clan member enters this form they will go on all fours and are surrounded by a white aura that takes the shape of a fox. Clan History: To the outside world it is unknown how the Kitsune clan came into existance exactly. Stories passed down within the clan and rumors say that it was a curse and others believe that the clan originated when a fox demon took human form and got a young woman pregnant with a unique child. This child became the 1st Kitsune and lived to be over 200 years old. 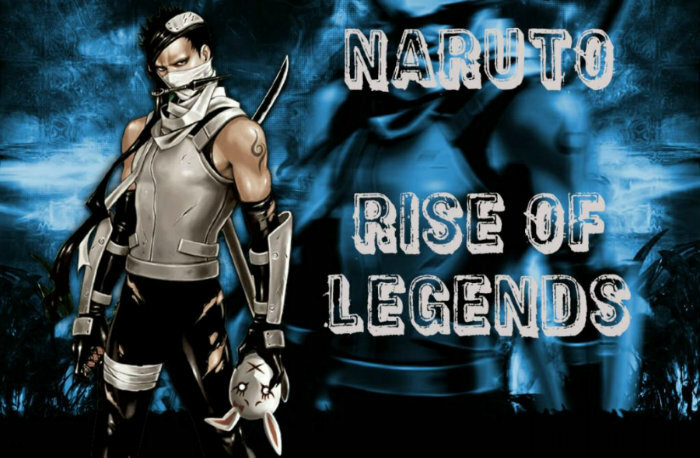 He led the clan as well as developed most of the clan jutsu. For the next two centuries the 1st born child of the current clan leader would take over the clan, regardless of gender. However most first borns in the clan are born male. The Kitsune Clan originated around Kusagakure but for the last 100 years have migrated and can be found in almost any country. However they seem to avoid Konohagakure and Kumogakure for unknown reasons. It was a long day and the sun was setting in the sky when Tekkiri returned home after a long day of training. He walked inside of his house, walked straight past his dad, not even saying hello and heading straight into his bedroom. Once inside his room he turned the lock and sat in the bed looking towards the door. Ten...Nine...Eight...Seven...Six...Five...Four...Three...Two...One, he counted in his head before there was a knocking on the his bedroom door. He looked coldly and ominously at the door before responding, "Yes", in a innocent voice. "Son we need to talk...lately you've been more distant than ever and honestly it isnt healthy..so come out here". After about 5 minutes there was no response. Tekkiri just remained still looking at the door. Now he'll get upset..., he thought and he was right. His father yelled his name...but not his cover name but his real name. Tekkiri smiled on the other side of the door, knowing this was going to occur. He then pretended to be upset and he started "crying", as he walked up and opened the door. He looked at his father momentarily and his father returned the stare. It was strange to see his 15 year old son cry, the same child who had been so distant and didnt seem to care about much. "D-dad...do you ever think of mom", he said while crying. His dad's eyes then began to water and suddenly Tekkiri looked at him and repeated the word "mom", except this time his voice wasnt sad, it was cold...almost emotionless. Suddenly the room they were in became much colder and the walls around them faded to black. Tekkiri's genjutsu was beginning to take effect and they were brought back in time to the day of Tekkiri's mothers death. It was a warm summer's night and there was nothing in sight besides the starlight sky, a campfire and two tents. The two were standing by the campfire and Tekkiri's father looked at his son and asked what was going on. Tekkiri however did not respond, he just stared at the tents. Tekiri's father had already left the tent he and his wife were in and suddenly a shadow emerged from one tent, walking with nothing but a pillow into the next tent. Tekkiri looked at his dad and then walked into the tent so he could see what happened inside. His father followed him inside the tent, curious as to what his son was showing him. Inside the tent, Tekkiri's father watched as his young son used his pillow to smother his mother, then he just took his pillow, fixed his mother so she looked like she died naturally and walked out and back into his own tent to fall asleep. Tekkiri's father was in shock and before he could do anything time fast forwarded to the next morning when he saw his death wife. Tekkiri's dad looked at his son and trembled as he asked what did he just witness..Tekkiri just turned to his father and smile as he responded that this was what really happened. Tekkiri's father was enraged and charged at his son, punching him square in the face. However Tekkiri just turned his head back looking at his father and laughing, his red eyes showing themselves now. As he laughed his demonic laugh he faded away into nothingness around his father and a voice echoed.."You failed...and when you awaken...you'll know you dont deserve to live", the voice said. Suddenly everything went back to normal and Tekkiri looked at his father. He smiled as his dad had a blank almost empty face on, suddenly the depression kicked in and he looked as if he were in a trance. Tekkiri stepped inside his room and closed the door, lying down in bed...When he awoke the next day he walked into his father's room to see that the man had hung himself...committing suicide.